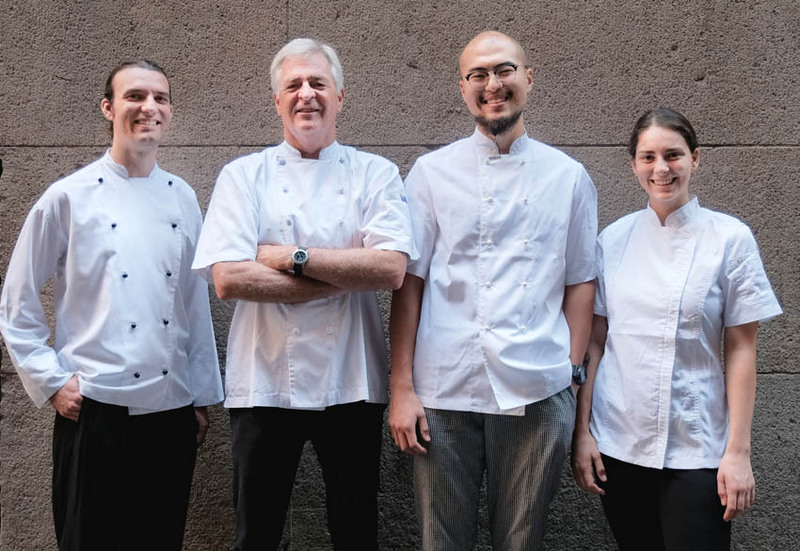 Merivale is launching an innovative apprenticeship program for chefs, in direct response to the ongoing industry shortage and changes to the 457 visa laws. 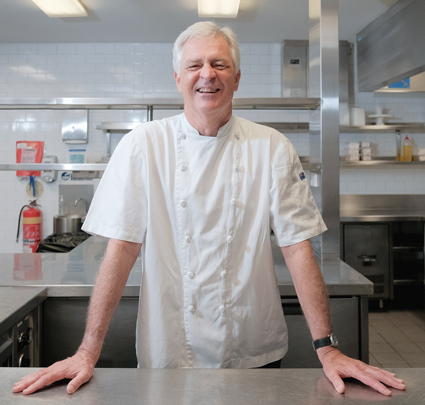 The Merivale Apprenticeship School is a first-of-its-kind chef training programme, led by celebrated Australian chef Peter Doyle, who since hanging up his apron at est. has spent the last six months formalising his teaching qualifications through a Certificate in Training and Assessment. Overarching vision for the School is to “re-establish the connection between master artisan and student”. This will see one-on-one training with the master, as well as group executive chefs such as Dan Hong, Danielle Alvarez and Jordan Toft, brought in to teach their areas of speciality. Student intakes are strictly limited to twenty budding chefs each six months, making up two classes of ten students at a time working directly with Doyle. Enrolments for the second intake of 2019 are now open. Merivale has partnered with The Essential Ingredient in Surry Hills for the culinary classes, and following their initial ten weeks of fundamentals students will move onto menu-based courses that allow them to cook dishes being served across the group. Doyle is known for his contemporary Australian food and his technique, and precision-based skills will be at the forefront of the classes. Students will work with the best produce available to encourage a passion for provenance. Speaking with PubTIC, Justin Hemmes says the primary goal is to encourage more Australian youth to consider careers in hospitality. Beyond exposure to the group’s seventy-odd venues and dozens of foodservice styles, apprentices will undertake Merivale’s extensive training processes, adding to the experience they gain. Head chefs will manage and mentor the apprentices in their respective venues. Experts on specialised topics will also be commissioned to address the students, on subjects such as education on lifestyle, drugs and alcohol, mental health in the hospitality industry, and financial advice for new home-leavers. The intensive exposure means the School can provide graduates with the formal qualification of Certificate III in Commercial Cookery (SIT30616) in the minimum 18 months (typically 36 months). The School aims to have 100 per cent of apprentices transition into permanent chef roles. “Completing a Merivale Apprenticeship is all about ensuring that by the end, our apprentices have the skills to confidently work in any workplace and kitchen, to the highest standard, but also that they have acquired personal skills, friendships and connections that will last for life in the industry,” says Nick Norris, Merivale’s apprenticeships & traineeships coordinator. In the wake of changes to the 457-visa laws stipulating workers must be under 45, it has become even harder for a lot of Australian hospitality businesses to fill an increasing number of senior kitchen positions, which were previously gladly taken by mid- to long-term skilled migrants. “Unfortunately, the way the visas have changed, to attract the right people here is very difficult now,” explains Hemmes. The concept of apprenticeships has survived for centuries, stemming back to the 12th century in mediaeval Europe where artisan craftsmen indentured workers to learn a valuable trade, usually for a contract term of seven years. Australia adopted the system of apprenticeships with colonisation in 1788, and modern qualifications are considered one of the strengths of Australia’s industrial sectors. Apprenticeship applicants are envisioned to be virtuous, growth-oriented and “obsessed with food” and the group expects both fresh-faced adolescents and people taking a leap to pursue a long-lived passion. Having already mentored now great chefs such as Jordan Toft and Jacob Davey, the program heralds the next generation of Merivale chefs from Doyle’s teachings. “You always want the people you’re teaching to be better than you are by the time that they’ve grown in their capacity,” says chef Doyle.